Here's a very simple wedding card that features 4 panels of designer paper. 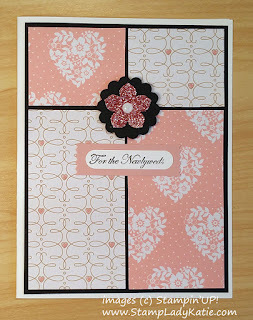 This paper is from the Love Blossom Designer Stack. The pale pink (Blushing Bride) papers are perfect for a wedding, don't you think? I was very careful to cut the paper so the pattern with the larger hearts would be centered. 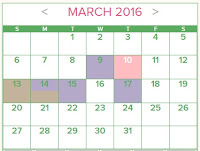 But with a different pattern, this lay-out would be great for using up small scraps of DSP. 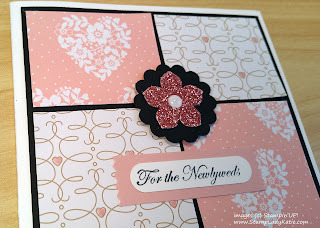 The two papers on this card are from the Love Blossom Stack. Stampin'UP! 's stacks give you 4 each of 12 double-sided 6x6 sheets. 24 Designs total! Wow! I love using these stacks because its so easy to find coordinating papers for projects like this. Did you ever think to color on Designer Paper? I used a marker to color the small hearts. This is just one way to use up scraps of Designer Paper. 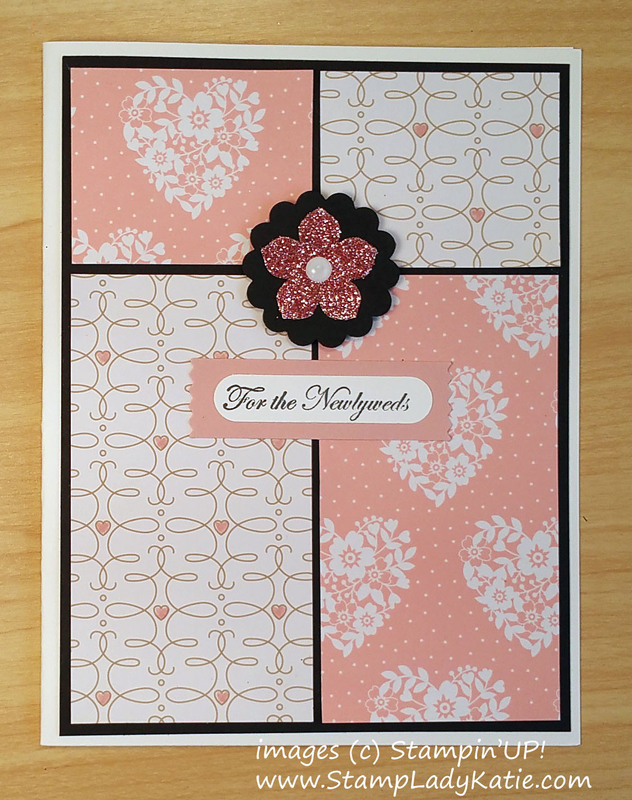 I'm teaching a class next weekend with more ideas for using DSP, so if you keep following this blog you're sure to see lots more ideas for making cards with Designer Series Papers. If you're local to the Madison/Dane county area we'd love to have you join us. I work with a great group of stampers. You can sign-up for class HERE.